The EngageSportMode.com Awards for 2015 continues. No, we still don’t care that it’s now 2016, so just sit back and read which people and things caught our attention over the preceding twelve months. If you need it, you can find part one here. 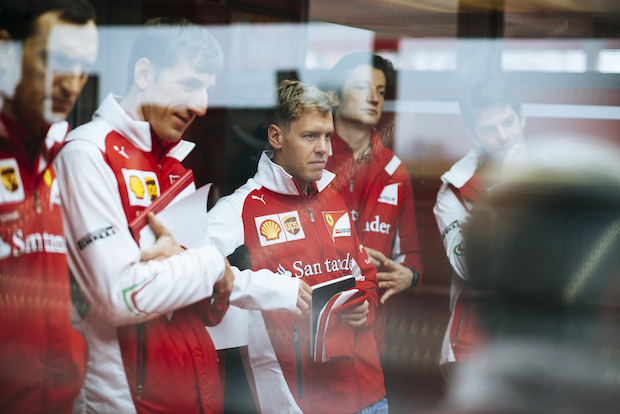 You don’t need EngageSportMode to tell you that Formula 1 in 2015 was a pretty dire affair. Whether it was the comically tragic debacle of McLaren-Honda, the constant money worries for Lotus, or Lewis Hamilton wrapping up the title virtually unchallenged, there was little to be positive about. Apart from one young Dutchman in his debut season. Yes, Max Verstappen was by far and away our highlight of F1 in 2015. 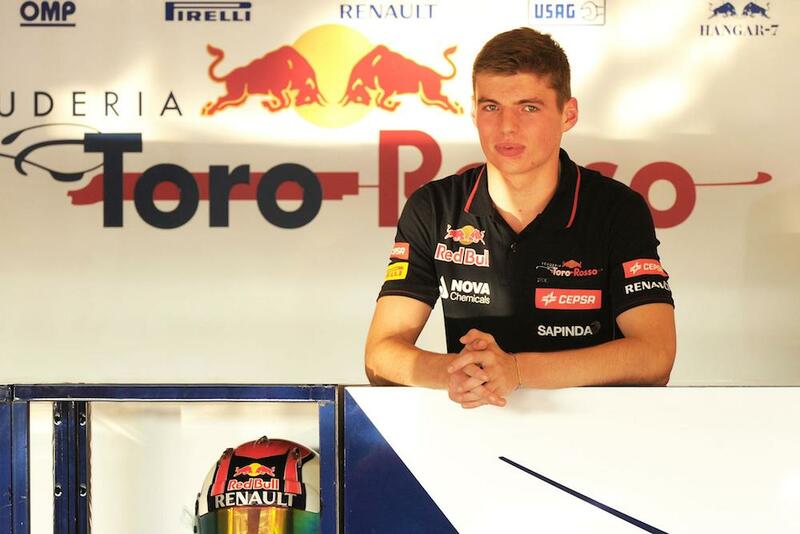 Having a father like Jos Verstappen clearly helps, and it meant the rookie Toro Rosso driver wasn’t flung blind into the F1 arena. He topped the list of most overtakes in a season, making some quite astounding manoeuvres to pass 49 cars in total. For comparison, the driver average was just 26.8 passes. His only major mistake came at Monaco when he tangled with Romain Grosjean, but rare is the young driver who manages perfection throughout an entire season. At ESM we hope Max manages to maintain the same momentum in 2016, as he clearly has a huge amount of raw talent. Whilst saying he is a potential championship winner might be a little too hasty, with his youth and the correct management, there’s no reason why he couldn’t do it one day. Providing the Red Bull driver programme doesn’t spit him out the other end with no seat, as has happened to others before. We also had to tip our hat to a previous winner of this award: Sebastian Vettel. Having suffered a torrid 2014 at Red Bull, the four-time World Champion joined Ferrari and instantly seemed revitalised. Taking three wins and a host of other podium finishes, he outshone teammate Kimi Räikkönen substantially, whilst also looking to be actually enjoying himself again. ESM’s BTCC driver of the year is, once again, not an easy decision or clear-cut. There were many stand-out drives over the season that caught the eye, but consistency was naturally the key. 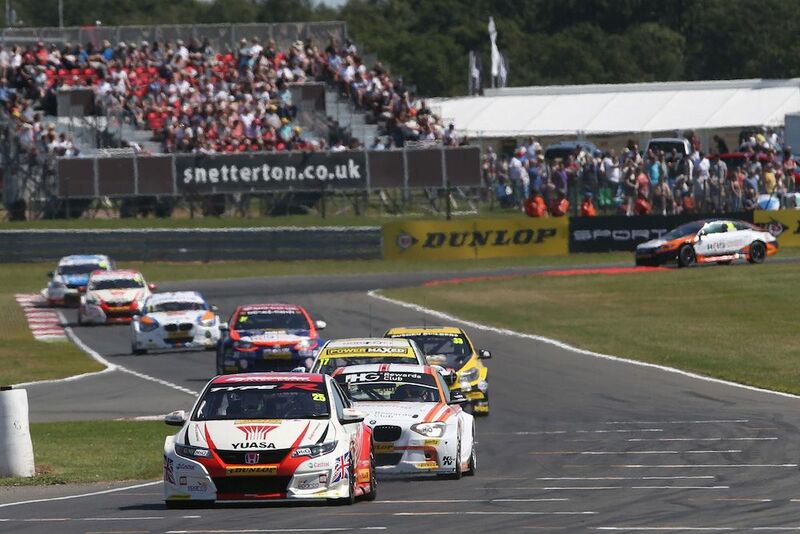 Drivers deserving a place on the shortlist include Josh Cook, with a staggering 22 JST wins out of 30, and Tom Ingram. Both had outright podiums of their own including a brace of seconds for Ingram. Despite their final championship standing only being 2 places apart, Ingram scored significantly more points so you would favour him as ‘young gun’ of the year, although he doesn’t claim driver of the year. Had Mat Jackson started the season at Brands Hatch like everybody else, there would be no other decision to make in this category. His performances, in a new car, in the second half of the season were astonishing. It would have been very interesting to see how in the mix he would have been if he’d started in April like everybody else. In the past, the champion has not always claimed ESM’s prestigious accolade and this year is no different. Gordon Shedden has had a fantastic season, you can’t deny that fact; he ended up as champion. Jason Plato pushed him all the way and was the ‘nearly one’ again. Surely, his luck has to change soon or perhaps he just can’t finish the job? Plato changed tact this year, going for the Mr Consistent approach but, just like his gung-ho approach, it still didn’t quite work for him. An excellent campaign, but not quite enough. And so to our winner… Matt Neal. For ESM, there were lots of question marks around Neal going into the season. Would he even be at Brands was what we were asking ourselves this time last year. He sure was, and that desire to win that seemed to have been lacking in recent seasons was back and in full force. He finished in the top 8 in 24 of the 30 races. Neal was back and fully deserved to finish 3rd in the championship, as well as playing the team game on occasion to help Shedden win the title. It was an impressive season for Neal and he is fully deserving of this year’s ESM driver of the year crown. It would have been predictable and easy to pick the Mercedes F1 W06 Hybrid but, given the limited development available in Formula 1, that it would dominate 2015 was almost a foregone conclusion. Instead we picked another all-conquering German machine – the unstoppable Polo R WRC. Let’s ignore the slight indignation at EngageSportMode that Volkswagen haven’t produced a proper 4WD road-going rally replica, and concentrate on the fact a Polo R WRC won every single round of the 2015 World Rally Championship. Not all of them were won by just Sébastien Ogier either, with Jari-Matti Latvala and Andreas Mikkelsen also sharing in the victories. The second generation car featured a revised livery that seemed to make it even faster with Ogier sealing his, and Volkswagen’s, third World Championship by September’s round 10 in Australia. 2016 may prove to be more of the same, unless Hyundai can make the new i20 WRC car an effective rival from the off. 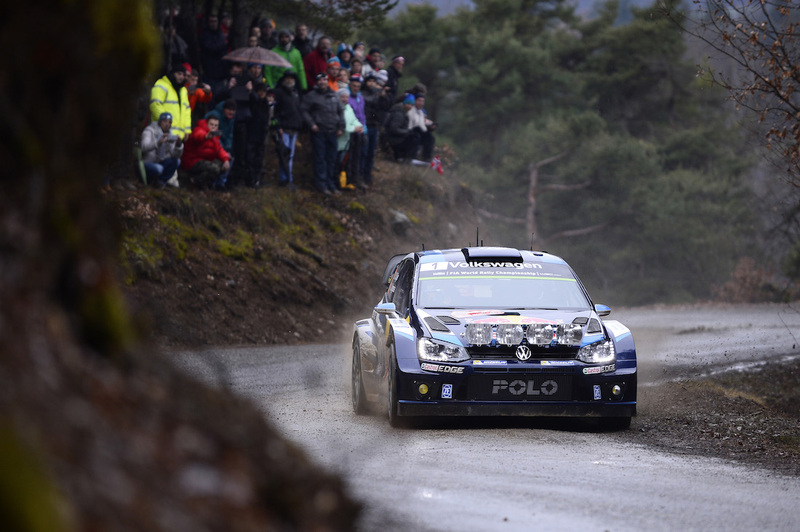 We’ll find out in a fortnight when Rallye Monte-Carlo begins. At first listen this might not strike you as a proper driving tune, but just get to the breakdown in the middle; if you can’t imagine a slow-motion shot of a car clipping an apex, just before the beat kicks in at 3:10, then you’re doing it wrong. There’s also a cool Markus Lundqvist-directed video, and it’s difficult to ever get tired of the voice of Marina Diamandis. Plus, she shares her first name with a British Leyland-era Morris, so that’s car related, right? Why does ESM love the Forza series so much? For the simple reason they actually seem to understand the cars real petrolheads want to drive. You want to try the new Ford GT before it’s even available on the road? Done. Itching to battle it out in digital recreations of BTCC cars, on famous tracks such as Brands Hatch? Sorted. Want to experience the sheer terror of navigating Sebring International Raceway in torrential rain? You got it. Alternatively you can just lust over machinery rendered in mind-blowing detail through the Forzavista option. Whilst ultimately not as entertaining as the Forza Horizon offerings, the sheer attention to detail makes it our game of the year. That’s it for another year. Come back and join us in twelve months time to see what cropped up on the ESM radar in 2016.